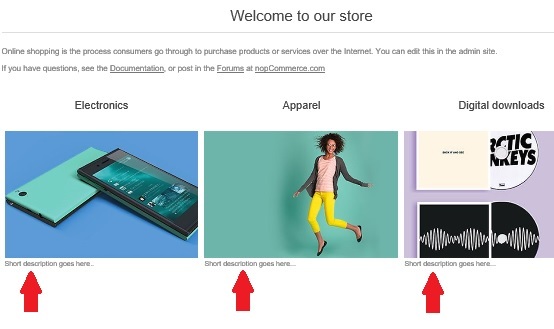 Some users on nopCommerce forums have asked this question that how to change the spacing between homepage featured products and homepage news in nopCommerce. The default theme that comes with nopCommerce out of the box works great and some users prefer to make design changes as per their needs / requirements. Today, we will go over the process of making changes in the theme stylesheet to accomplish this task. nopCommerce offers a very simple way of adding features categories to the homepage. This allow store admins to showcase latest product categories that online shoppers might find interesting. By default, a category title and image is displayed on homepage. 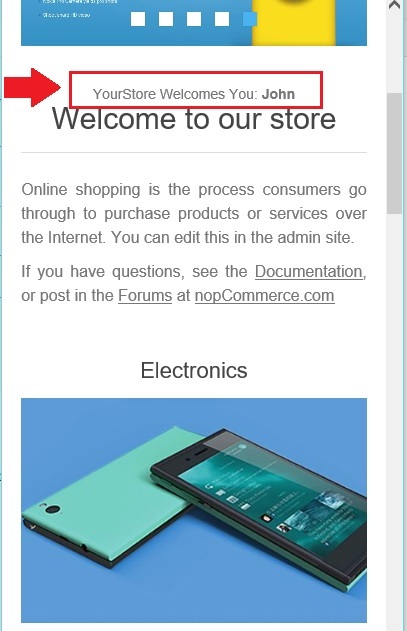 Today, we will go over the process of adding description in featured categories on homepage in nopCommerce.